Good morning to each of you and thank you for being here. Let us begin with a prayer. The last time we were all together our host had just been named the interim Superintendent of Schools. She assumed the position at a very challenging time and soon distinguished herself as the outstanding educator and administrator we were looking to lead our school system…something I am sure was no surprise to those who know her best. Many of you were present for the press conference announcing her as the Superintendent and I am pleased to welcome and congratulate her in your presence today. Please join me in formally congratulating our new Superintendent of Catholic Schools, Dr. Barbara Edmondson. I am pleased to be with you this morning and am grateful to you for making time in your busy school day to allow me this opportunity to speak with you about the progress we are making to build the best Catholic school system in the nation. I understand that Dr. Edmondson has been providing you with regular updates about the implementation of the Strategic Plan, for which I am most grateful. It is my hope that today’s meeting will offer more in-depth information about those aspects of the plan that we feel are important to underscore at this important time. Communication is critical if the bold changes called for in the Strategic Plan are to succeed in moving our school system forward. Several members of the staff here at the Catholic Center are present this morning and I will be calling upon them to lend their expertise at various points throughout our discussion. Their presence represents the depth of commitment from our Central Services offices to support you and your colleagues, our pastors and parish leaders in the area of Catholic education. From Finance and Facilities to Communications to Development and Human Resources, the support of our schools and our school system is a top priority and every available resource is being made available to promote our outstanding schools and students…and to make your jobs easier. One such way to do this is to provide coordination and assistance to schools regarding finances. Here to discuss our plans to hire a School Finance Officer to serve this critical role is our Chief Financial Officer, Mr. Bill Baird. As disciples of Jesus Christ, Bill and all of us here at the Catholic Center see the education of children in Catholic schools as central to our overall mission of being Christ for others, modeling his earthly ministry and seeing Him in those we serve. This is the same belief that animated the work of the Blue Ribbon Committee on Catholic Schools, and why I stated at the outset of that Committee’s work that every parish in the Archdiocese of Baltimore must be prepared to support and sustain Catholic schools in our Archdiocese. This includes financial as well as spiritual and pastoral support. The involvement and promotion of Catholic education by parishes—and specifically by priests and pastors—is a key indicator for many, including prospective parents, as to the long-term sustainability of our schools. This was not lost on the Committee, who wisely called for the introduction of a model for governance that would free up our pastors to provide such support and in doing so, free up administrators and teachers to spend more time on those tasks more closely related to school and student performance. Here to discuss the Archdiocesan Collaborative School model and the plan for an annual financial assessment of each parish for the benefit of Catholic schools is Msgr. Bob Hartnett. I should point out that Msgr. Hartnett not only served on the Blue Ribbon Committee, but has also yielded to this new model at his own school, Our Lady of Mount Carmel, leading by example in doing the very thing he is asking his brother pastors to do. This model, which has been being called a hybrid because it relies on neither total centralization nor sole parish-support, demonstrates the creative and bold approach taken by the Committee. It represents a paradigm shift in how our Church approaches the challenges of operating Catholic schools. Like so many other aspects of the Plan, it requires a new way of thinking about old challenges…more simply put: a new way of doing things. It is the same vision and boldness that inspired the likes of Mother Seton and Mother Mary Lange, and, just like them we will not always be successful. Our first attempt may not be on-target, but our desire to be successful on behalf of the Church’s mission and the children we serve must override ego and arrogance…we must be willing to adapt or change altogether our approach to achieve our ultimate goals. Such was the case with our plan for the new Dual Language school at Archbishop Borders School in Highlandtown. We had planned for an initial implementation of the program in two grades. However after speaking with principal, Cathy Marshall, and listening to her concerns and suggestions, we implemented it at only one level and added an extra program at the middle school level to address literacy. We look to our principals to help develop these new programs in a way that best fits each school and we are willing to re-think our approach if it will benefit the school and the students. The creation of a Dual Language program is only one example of initiatives that have gone from concept to reality over the last year. I was pleased to learn of the creation of the Principal’s Leadership Institute, which kicked off earlier this year and is a great vehicle for providing support and professional development for our outstanding administrators. One certainty that emerged during our research and consultations prior to the release of the Strategic Plan is that the principal is the most critical position in any school. That is why we are so enthusiastic about the success of the PLIAS program, which, along with Operation Teach, is a wonderful opportunity for us to collaborate with our Catholic universities—Loyola, Mount St. Mary’s and Notre Dame. We are committed to finding new ways of partnering with these outstanding Catholic institutions of higher learning and to learning from them about such basic practical matters as their expectations for the preparedness of students entering college. I know that each university shares our commitment to student and community and I have great hopes for where a more focused partnership will take us. Similarly, we want to strengthen the relationships between our Catholic high schools and elementary schools to better ensure the smooth progression of our students from one Catholic educational institution to another. I am well aware of the impact the Catholic high schools of our Archdiocese have on the students they serve and the surrounding community, and our collective goal should be to see every student currently enrolled in a Catholic elementary school advance to a suitable Catholic high school in our Archdiocese. 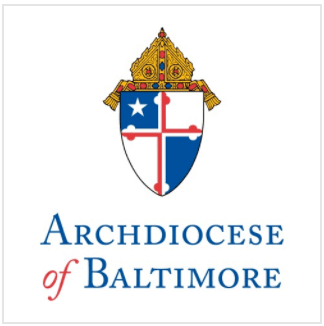 I read with great pride about the generous service of students from eight area Catholic high schools at four Catholic Charities programs prior to the start of the annual Baltimore Catholic League basketball tournament. Students like Mike Flynn and Evan Gray of Archbishop Spalding and Michael Wade of Calvert Hall and Thomas Blake of St. Maria Goretti gave of their time to share experiences with the disadvantaged served by Catholic Charities…they were modeling Christ and seeing Him in others. Their participation and focus on service FIRST and before any games were played, speaks to the leadership in those schools and the Catholic identity that remains pervasive in all that they do, and should be a reminder to us all of what should be our priorities. Putting others first is not something lost on our Catholic elementary schools either, as students at several of our schools organized events following the tsunami and earthquake in Japan, just as they did after the disaster in Haiti. Students like Natalie Fitch and Briana Smith contributed to the relief efforts sponsored by Our Lady of Mount Carmel School, which made 1,000 paper cranes and conducted a prayer service to remember the suffering in Japan. The girls and their fellow students also donated their week’s snack money to Catholic Relief Services, clearly understanding the lessons taught to them by their teachers and priests that being Catholic means you are a part of a universal Church and a member of a wider human family. We are blessed to have so many fine schools in our Archdiocese. This was markedly evident as I celebrated the 30th Anniversary Mass for the merit-based Knott Scholarship Funds last Sunday. The Knott Scholarship Funds is one of the many philanthropic initiatives of the Knott family, whose generosity represents the kind of support we will be looking to engage as we continue with plans for a capital campaign and the creation of a sound endowment for Catholic school students throughout the entire Archdiocese. Because Catholic schools will be a major beneficiary of the campaign, I thought I’ve asked our Director of Development, Mr. Patrick Madden, to share further information about it. Thanks, Pat. With the help of the Capital Campaign, we are confident we can raise the funds needed for our schools to remain academically excellent, as well as raise funds to provide the kind of support that will enable more children to remain in Catholic schools and those who desire a Catholic education to receive it. After all, that was the over-arching goal for the process to strengthen our schools, as designed in the Strategic Plan, and it is the goal of our newly-formed School Board, whose job it is to oversee the implementation of the many bold initiatives outlined in the Plan, in cooperation with Dr. Edmondson and her office. By putting the Plan into action, with its many areas of focus, we will build on the progress we’ve made together in the last year and begin to grow our school system again. That said, our system is not without significant challenges. Enrollment is still feeling the effects of a struggling economy and this puts tremendous stress on our entire system—from individual schools to tuition-paying parents and donors to the central offices of the Archdiocese. This reality underscores the need for each and every school to remain highly focused on enrollment and marketing throughout the year and not simply Catholic Schools Week. Gone are the days when schools were guaranteed to have waiting lists of students, and gone are the days when the marketing of our schools was considered a luxury, something to do if and when time and money allowed. Hopefully you have seen the increased emphasis we’ve placed on this crucial area in the last year or so centrally—something we are expecting to continue. Promoting our schools must be the rule and not the exception. And we are urging each of you, regardless of your current enrollment situation–to take the same approach. Share with your communities the great story of your Catholic school throughout the year and use every medium available to you in this fast-paced, ever changing communications environment. We aren’t good at celebrating our achievements, sounding our own horns, but we better become good at it if we are going to survive in this increasingly competitive landscape that also includes the nation’s best public school system, charter schools and several outstanding private schools. We want all of our schools to be recognized by current and prospective families, as well as philanthropic and community leaders, as centers of excellence and places to grow. I thank you for all you are doing to make this a reality…all you are doing to uphold the tradition of excellence passed along to you by your predecessors…all you are doing for the children we are blessed to serve. We have come a long way in the past year, and I am excited to think about where we could be in another 12 months. You are in my prayers throughout the year and I’d ask for your prayers for me as I do my part in working toward the lasting strength and growth of Catholic schools in our Archdiocese.